On 14 MAY 2013, international best-selling author Dan Brown released his sixth book, Inferno. The book marks the return of Harvard Professor Robert Langdon in yet another symbol twisting, religious mystery full of shock and awe. Inferno is the fourth Robert Langdon book (Angels and Demons, The Da Vinci Code, The Lost Symbol). Below is a clip from the Colbert Report in which Stephen Colbert interviews the acclaimed (and perhaps controversial) author. Colbert, being a member of the Roman Church, is a little aggressive, and yet funny towards Brown. With his new release, Brown wraps Professor Langdon in a web of mystery surrounding Dante’ Alighieri’s Divine Comedy, more specifically, Inferno. It’s a fast paced book which will bring a sense of nostalgia to those who crave another version of Da Vinci Code. It also brings another perspective to Dante’s classic poem. As Brown hoped, I believe that more people will read Dante sheerly because of this book. 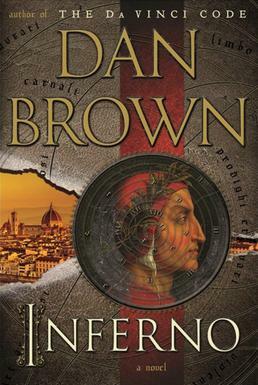 Inferno (Brown’s book) points to various historical and religious sites in Florence, Venice and Istanbul. I found myself pausing the audiobook and googling these magnificent pieces of art and architecture in amazement. I hope that I would be able to see these sites for myself. Perhaps a pilgrimage to visit the Anglican Church in these areas is in order! Overall, I really enjoyed this book. I found myself really thinking about the era in which Dante’ lived. I thought about how instrumental the Divine Comedy is in Christian tradition and belief. I thought about how few students outside of theology or philosophy know who Dante’ Alighieri is. Finally, I made it a point to promise myself that I will finish the Divine Comedy and have an appreciation for it of itself, and not because Dan Brown wrote a book about…as good it is!